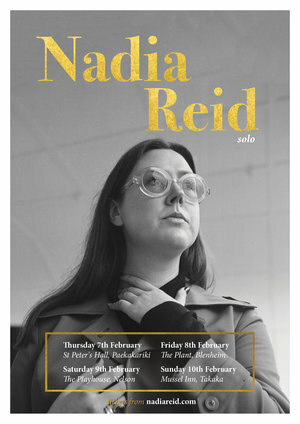 Auckland-born, Dunedin-raised, Nadia Reid, has attained global success off the back of her first two albums: Listen To Formation, Look For The Signs (2015); Preservation (2017). 2017 saw Nadia perform over 100 shows, touring through Australasia, Europe, and the United States with high profile appearances at coveted arts and music festivals like Green Man and End Of The Road Festival. 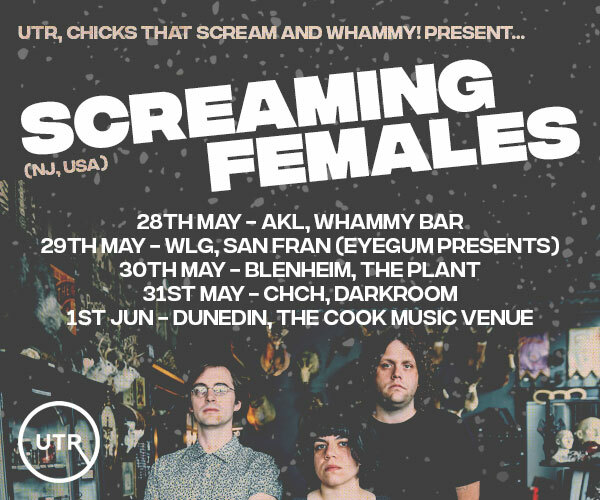 Success was measured through sell-out shows in key markets like London, Paris, Sydney, Melbourne, and media appearances on the likes of BBC’s Later... with Jools Holland, Spotify streams reaching 17.38 million plays, #2 in Mojo Magazine for Album of the Year, and in New Zealand, as a finalist for both the Silver Scrolls Awards (2017) and the Taite Prize (2016 & 2018). This year, Nadia is working on her third record due for release in late 2019.